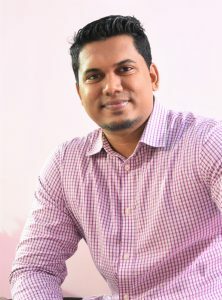 Udara Bimendra obtained his Bachelor of Science in Chemistry from the Science Faculty of the University of Peradeniya (Sri Lanka). During his final year, he conducted a research project mainly focusing on polymers and antistatic textiles. Afterwards, he did his Master degree in Chemical Sciences at the National Institute of Fundamental Studies (Sri Lanka) under a NSF research grant. He has done his master’s studies in the research fields of membrane technology, surface chemistry and wastewater purification. In addition to that, he has an industrial experience on smart textiles. Raheel Ahmad is working as an EU-scientist at the Laboratory for Fluid Physics, Pattern Formation, and Biocomplexity (LFPB) led by Prof. Eberhard Bodenschatz, director of MPIDS Göttingen, Germany. Raheel is a professional chemical engineer, who has been working as a research scientist at the center for flow control, department of mechanical engineering, KAIST, where he developed acoustic-based lab-on-a-chip (LOC) devices for biomolecular and microorganism analysis. Besides, he also added valuable skills to his expertise through clean room handling and molecular biology techniques. During his master degree in chemical engineering at KAIST, he focused on the development of barcode DNA-based biosensors coupled with MALDI-TOF MS for low-abundant protein biomarkers. Raheel has interests in designing and fabricating microfluidic-based analytical micro/nano devices to study biological system and system dynamics. Florencia Sacarelli obtained her Bachelor in Chemistry from the Science Faculty of the Universidad Nacional de Córdoba (Argentina) in 2017. During her career, she joined two different research groups in Physics-Chemistry and Organic Chemistry. In 2018, she worked in a polymer lab, researching about the use of nanogels for drugs delivery. She is now a PhD student at the Institute of Supramolecular Science and Engineering (ISIS), University of Strasbourg, under the supervision of Dr. Thomas Hermans. 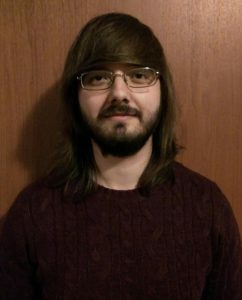 Abdelqader Zaben is a PhD student at the Laboratory of Magnetic Soft Materials, University of Latvia (Latvia) and will be working on the experimental investigation of local flows around magnetically filaments driven by AC magnetic fields. 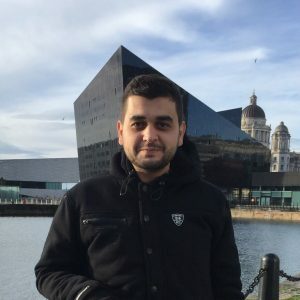 Abdelqader received his Bachelor of Engineering degree in Aeronautical and Aerospace Engineering from the University of Leeds, UK, in 2011, and Master of Science Degree in Thermal Power and Fluid Mechanics from Cranfield University, UK, in 2014 and Grenoble INP, France, in 2017 respectively. 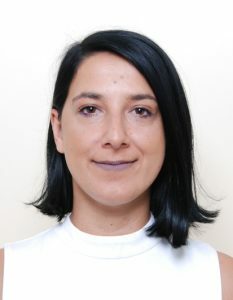 Eni Kume is currently a PhD student at the Laboratoire Leon Brillouin (Paris, France), part of the Atomic Energy Commission (CEA) and the National Centre for Scientific Research (CNRS). Eni obtained his Bachelor of Science in Physics from the National and Kapodistrian University of Athens in 2016. He then pursued and graduated from a Master of Science in Materials Science from the same university in 2018. His research interests include: liquids, viscoelasticity, liquid-solid interaction and liquid crystals. Aigars Langins finished his Bachelor in Physics with honors at the University of Latvia. During his studies, he did a semester of Erasmus+ in Paris at Sorbonne University. While in Paris, he decided to pursue a Master degree from which he graduated with honors last summer (2018). 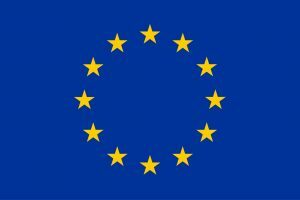 Aigars had thought about staying in Paris for a PhD but found out about the unique MAMI project PhD position back in Latvia. 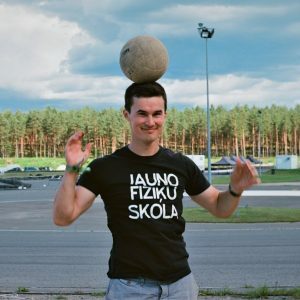 For him, it was an offer he could not pass – not only he will now be back to his home country working on a very challenging project, but he will have also the opportunity to teach first-year physics students introductory programming. Tim Butcher completed a Bachelor of Science in Physics at the Albert Ludwig University of Freiburg (Germany). He undertook his Bachelor’s project at the “Fraunhofer Institute for Mechanics of Materials IWM”, theoretically analysing a potential alloy for permanent magnets with low rare-earth content. Subsequently, he obtained his Master of Science in Physics from TU Dresden (Germany). 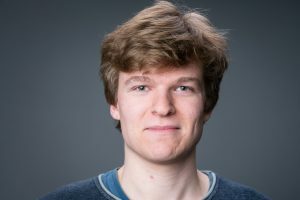 For his Master thesis, he performed quantum oscillation measurements at the “Dresden High Magnetic Field Laboratory” (HLD) in the “Helmholtz-Zentrum Dresden-Rossendorf” (HZDR). 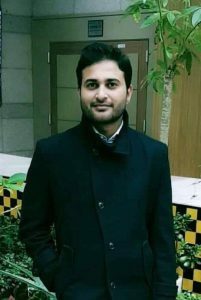 Since September 2018, he is a PhD student in the Magnetism & Spin Electronics group at Trinity College Dublin under supervision of Prof. J. M. D. Coey. Jinu Kurian is originally from the state of Kerala, India. He did his Master in Physics at the Indian Institute of Technology, Chennai (IITM, India) and his master project was entitled ‘Magnetic and magnetocaloric properties of Undercooled Rare earth intermetallic compounds RNi (R= Gd, Ho and Er) and rare earth compound SmNi’. The work he did on magnetism during this period was presented in the international conference on applied magnetism ‘INTERMAG 2018’ and subsequently published as a paper entitled Nanogranular, melt-spun intermetallic compound SmNi: Magnetocaloric effect and Large coercivity (Vol. 11, no. 11, 2018) in IEEE Transactions on Magnetics. Ana Damnjanovic - Kolektor Group d.o.o. Ana graduated from the Technical Faculty Bor, University of Belgrade (Serbia) in the department of Inorganic Technology (2012). 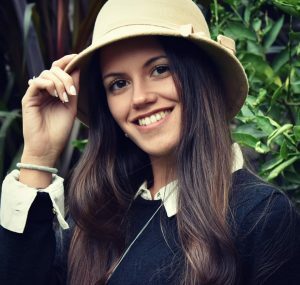 In 2015, she was granted the European Commission scholarship for the International Master of Science in Environmental Technology and Engineering (IMETE), a Joint Master Degree Programme. 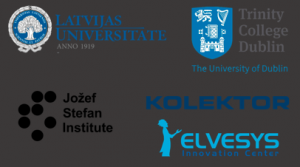 This program was held at three leading European universities: Ghent University (Belgium), IHE Delft Institute for Water Education (The Netherlands), and the University of Chemistry and Technology, Prague (Czech Republic). During this master programme, Ana obtained knowledge in technologies for mitigation and remediation of environmental issues. Regarding her professional experience, she worked for a year (2012) as a Technology and Product Safety manager in a mineral water plant, and afterwards as Quality control manager at the factory for processing of calcite mineral raw materials (2013-14). 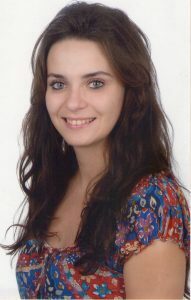 Nikolina Lešić is a PhD student at the Department of Physical and Organic Chemistry, Jožef Stefan Institute (Slovenia). She obtained her Bachelor degree in Chemistry from the Faculty of Science, University of Zagreb (Croatia) in 2015. In 2018 she obtained a Master degree in Chemistry from the same Faculty with the Master thesis Kinetics of dimerization of monomers and dissociation of dimers of p-halogenonitrosobenzenes in solid state. She obtained three awards, one of them being the Rector’s Award in 2017 for individual scientific work for the study entitled: Cerium oxide nanoparticles – synthesis, characterization and adsorption of polyelectrolytes. Arvind Arun Dev is from Korba, Chhattisgarh, India. He is a mechanical engineering graduate with interests in fluid and thermal phenomena. 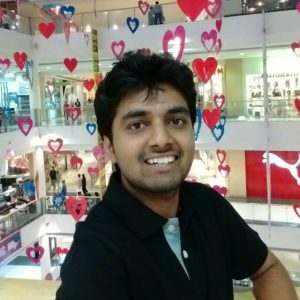 After his Bachelor degree (2010-14) in mechanical engineering, Arvind worked briefly for General Electric. 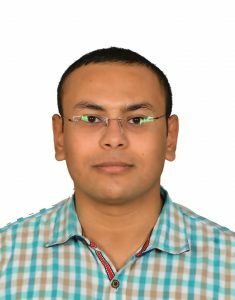 Interested in research, he later joined the Indian institute of Technology Bombay (2015-16) as a Junior Research Fellow in Cryogenic laboratory. He has completed his MSc Applied Physics (2016-2018) from University of Twente, The Netherlands. During his MSc. Arvind received the University of Twente Scholarship and the J N Tata Scholarship. He also visited Max Planck institute for Polymer Research, Mainz (Germany) for internship. His MSc. Thesis focused on the response of flexible superhydrophobic striped surfaces during electrowetting of a sessile drop. The study combined fluids, mechanics and optics. 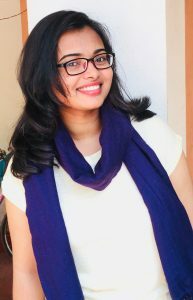 Sruthy Poulose is a PhD student at Trinity College, University of Dublin, Ireland under the supervision of Prof. Michael Coey. She has completed her Master’s degree in Physics from National Institute of Technology Trichy (India). Her master thesis was based on achieving superhydrophobic surface for self-cleaning applications mimicking lotus effect phenomenon. She has joined Indian Institute of Technology Delhi as a Project Assistant to work on Single-step fabrication of flexible guided-mode resonant sensor on surface engineered polydimethylsiloxane substrate. The research work was spanned over the two extremes of wettability; hydrophilicity and superhydrophobicity and its switching behavior on different substrates via surface engineering. Her research interest lies in the fields of Condensed matter physics, Nanotechnology and Material science. Vahid Nasirimarekani graduated from Mechanical Engineering in Iran and has done his master studies in Renewable Energies in Turkey. 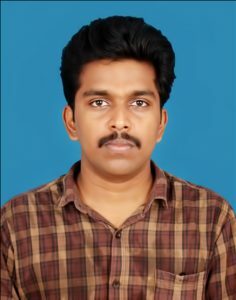 Afterwards, because of his engineering background in fluid mechanics and interest in life sciences, he has been working on microfluidic devices, fabrication and applying in multiple emulsions and layer-by-layer formation of DNA-Cationic lipid complexes over last two years in International Iberian Nanotechnology Laboratory, in Portugal. 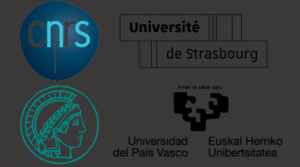 He has now joined the Microfluidics Cluster research group in UPV/EHU University in Spain under the European MaMi project and he will be working on fabrication and actuating artificial cilia inside micro dimensioned fluidic channels for investigation of locally-driven flows. 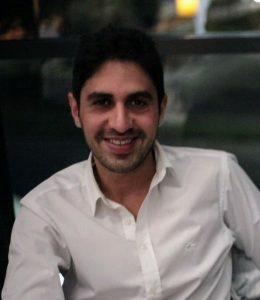 Ayman Ahmed is currently a researcher at the Max Planck Institute of Dynamics and Self-Organisation (Germany). He started working as a teacher assistant and researcher at the Department of Physics, Faculty of Science, Sohag University (Egypt) since 2015. He obtained a Bachelor of Science in Physics from this university and also acquired a strong experience in photonic crystals during his Master degree which he finished in 2018. He had designed a new smart window. He also worked on new filters for electromagnetic waves. He has a few published papers in international scientific magazines. In addition, he also participated in various conferences. He is also a programmer with experience in different programming languages such as Python, Matlab, Fortran. Emma Thomée was born in Malmö, Sweden and obtained her Bachelor and Master degree in Biomedical Engineering at Lund University. In 2017, she joined the research group EMBLA (Exploring Microtechnology for Biomedical and Life Science Applications) led by Dr. Maria Tenje at Uppsala University. She was involved in the development of a microfluidic blood-brain barrier model, working primarily on the integration of electrical sensors. 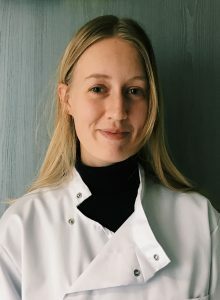 Emma is currently a PhD student at Elvesys Microfluidic Innovation Center in Paris, where her research focuses on implementing magnetic control into microfluidic devices for bio-applications. She conducts her research between Elvesys in Paris and Institut de Science et d’Ingénierie Supramoléculaires at the University of Strasbourg, under the supervision of Dr. Thomas Hermans.